Born in Kragujevac, Vladimir Petrović completed his high school and elementary education in Belgrade. For college he went to Georgia State University where he earned his Bachelor in Arts degree in Political Science. Until 2002, Petrović worked for companies in Atlanta, Georgia. These companies include CARE-USA a humanitarian organization aimed at fighting global poverty, the American law firms of Pope, McGlamry, Kilpatrick & Morrison LLP, and Gray, Rust, St. Amand, Moffett & Brieske. In 2002 he was part of the Joseph Moore for Alderman Campaign in Chicago, Illinois. He was also the field director for David Fink’s congressional campaign. In 2004 he became the Deputy Director of Illinois Trade Office where he fundraised and was involved in numerous campaigns. Petrović returned to Serbia in 2007 to be a part of the newly elected government. He was chosen to be Minister Counselor in the Office of the Minister of Foreign Affairs. On August 20, 2007, he became the Minister Counselor and the Deputy Chief of Mission to the Embassy of Serbia in Washington, DC. 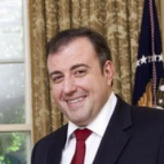 He served as Chargé d’Affaires until February 2009 when he was appointed Serbia’s Ambassador of the to the United States.